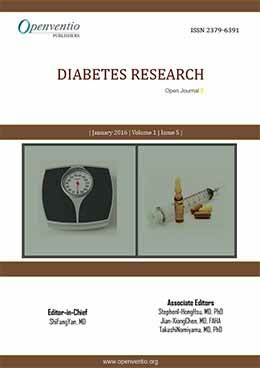 Are BCAAs Mere Biomarkers of Diabetes? 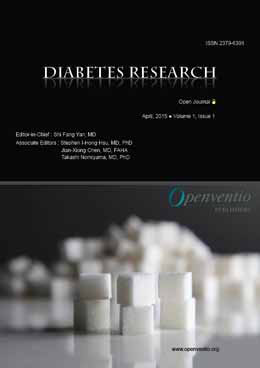 A Multicenter Italian Survey on Diabetes Care Units Reveals a Somewhat Slow Attitude in Treatment Guideline Implementation: Are We Dealing With Therapeutic Inertia? 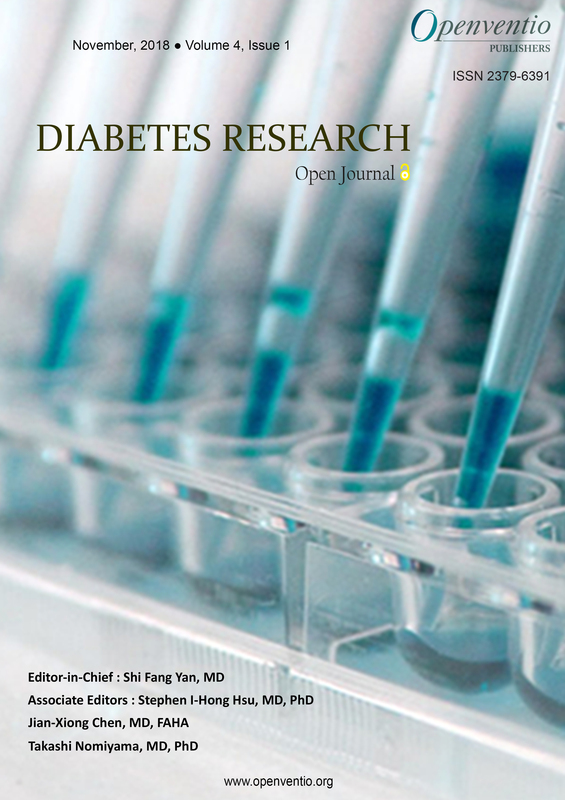 Diabetes Research- Open Journal (DROJ) aims to serve the scientific community and provide information focusing on the various causes, diagnosis, treatments, prevention, education, management and research related to diabetes. Diabetes is a systemic disease which causes higher than normal blood sugar levels, and results in a number of symptoms and complications of varying severity. While the symptoms and complications are similar, treatment will vary depending on the type of diabetes that is diagnosed. 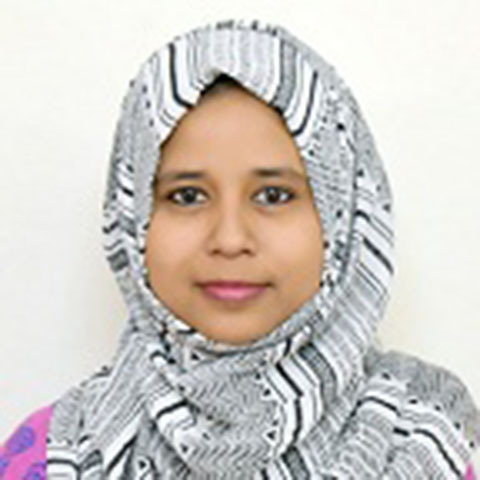 The disease is classified into various types, based upon the underlying pathophysiology. Thus, a diagnosis of diabetes is usually classified as either Type I or diabetes Mellitus (DM); or Type II or Diabetes Insipidus (DI). 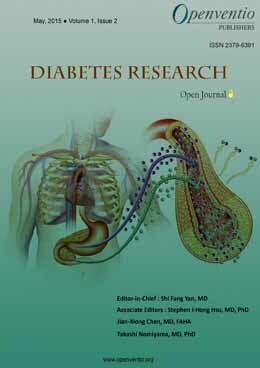 Type I diabetes is caused by failure of the beta cells in the pancreas to produce sufficient insulin; while Type II diabetes is due to cells’ inability to recognize the insulin that is being produced; a phenomenon known as ‘insulin resistance’. Gestational diabetes is a third, less common type of diabetes specific to pregnant women. 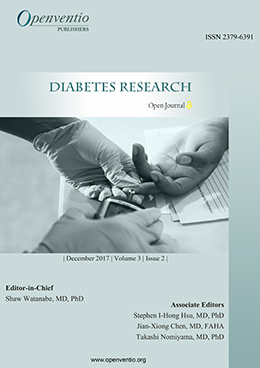 DROJ strives to provide widespread and open access to detailed, up-to-date, and reliable information of the highest quality on all matters related to diabetes – including: effective disease prevention measures, management strategies, and pharmacological treatments; innovative research findings and applications; and associated disorders – through Openventio Publisher’s Open Journal approach. 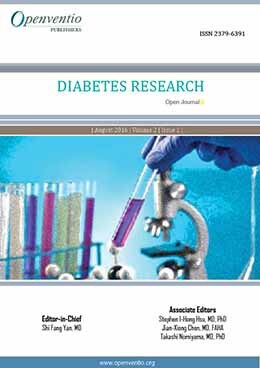 Diabetes Research – Open Journal (DROJ) is dedicated to the open dissemination of scientific information and robust discussion in all areas relating to diabetes, amongst professionals with diverse backgrounds and varying perspectives, such as researchers, educators, public health professionals, and clinicians. The DROJ audience includes physicians, surgeons, nurses, and other clinicians from a wide array of specialties, researchers, educators and students. 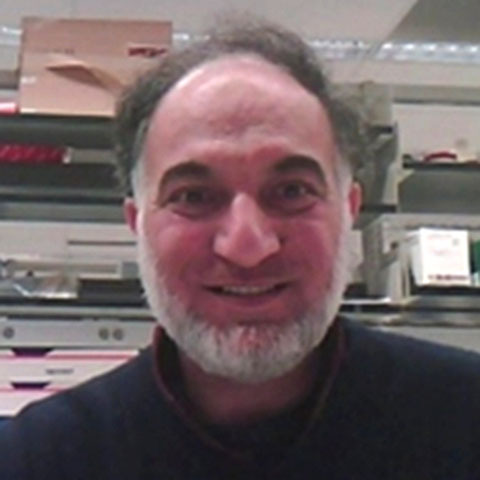 DROJ welcomes all types of articles such as: original clinical research and case-reports, literature reviews and mini-reviews, opinion pieces such as editorials, commentary, and book reviews, technical reports, conference materials, illustrations, etc. 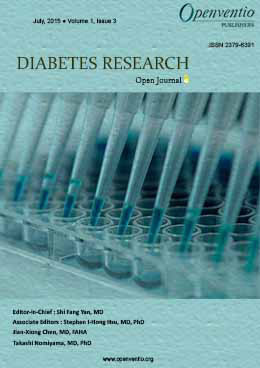 As we strive to improve the quality of our journal, any comments or suggested corrections from readers are welcome. Please send us your thoughts using the Contact Us link.